The Consumer Protection Unit is part of the Fraud and Consumer Protection Division of the Attorney General’s Office. 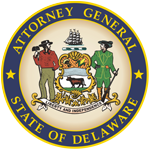 The CPU is responsible for enforcing Delaware consumer protection statutes and protecting the general public from consumer frauds and scams. In addition to pursuing enforcement action against those who violate our consumer protection laws, the CPU also participates in community outreach and consumer education events, engages in consumer advocacy, and actively contributes to coordinated state and federal consumer protection investigations and initiatives. One of the CPU’s important functions is helping consumers resolve problems with businesses. We operate a free telephone hotline where consumers can get information, discuss problems and make complaints. Our Complaint Form is available online for consumers to complete and send to us by email. The CPU has also taken a primary role in several programs to assist Delawareans in the wake of the recent financial crisis. Two components of this response focus on assisting Delaware homeowners who are struggling to pay their mortgages. The Office of Foreclosure Prevention and Financial Education (“OFP”) within the CPU was established to assist homeowners in financial distress but not yet in foreclosure. The CPU is also responsible for administering the Mandatory Residential Foreclosure Mediation program, which was established to assist homeowners who have had a foreclosure complaint filed against them in court. Both of these programs were created to facilitate meaningful, face to face, interaction between homeowners and their mortgage servicers so that alternatives to foreclosure can be fully explored. Another important part of Consumer Protection’s work is to provide Delaware citizens with the information necessary to avoid becoming victims of consumer fraud and to help them in making wise purchasing decisions. We meet with community groups and provide important information through seminars, presentations and other consumer events. We issue Consumer Alerts and distribute brochures and fact sheets with valuable tips for consumers. 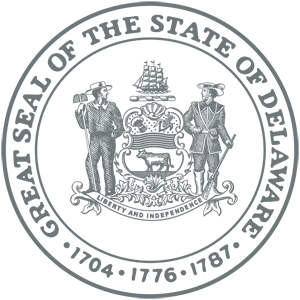 Our brochures and information are available by mail and are on this website. The Attorney General and the Consumer Protection Unit work with local, state and federal agencies to coordinate investigative, enforcement, and educational efforts to protect our citizens and enforce our laws. If you would like to have a member of the Consumer Protection Unit speak to your group or organization, please call us at 800-220-5424 or 302-577-8600.